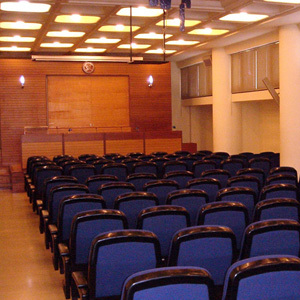 The Gallery was founded in 1975 and is the first organized art exhibition in “Visual Arts” in the city which has as its main goal and purpose to promote and disseminate modern Greek art, particularly that of Northern Greece. 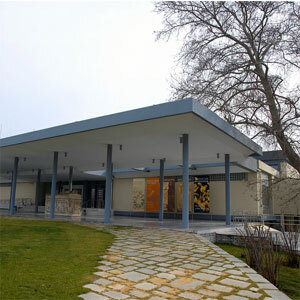 The exhibition is housed on the top floor of the National Theatre of Northern Greece, into the building which was designed by the architect Basilis Cassandras and is located directly opposite the White Tower on the seafront. 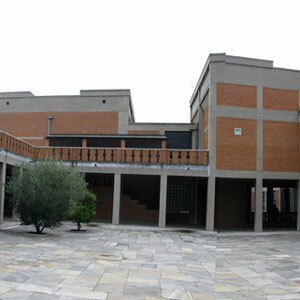 The collection includes more than 400 works, mainly paintings, sculptures, engravings, and mostly by artists from Thessaloniki and Macedonia, although there are also works of great artists from all over Greece and elsewhere. 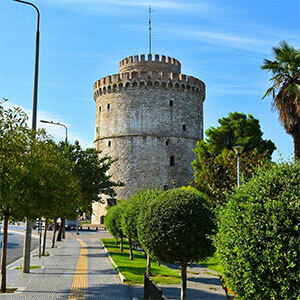 The works of foreign artists are chosen based on their relationship with the city meaning that their work should present monuments and landscapes of Thessaloniki. Most of the works have been donated, some purchased and a large number of projects came from donations. The Gallery gives a completely satisfactory picture of the basic directions of Visual Arts in northern Greece, as well as the development of Modern Greek art since 1850. Tassos Kyriazopoulos, Spyros Vassiliou, Thalia Flora Karavia, Nick Sachinis, ÉmileGerlach, George Apotsos Costas Karanos, Anna Christoforidou, Kyriakos Kampadakis and St. Kilessopoulos. The gallery extends its activity organizing personal and group exhibitions for the promotion of contemporary art.